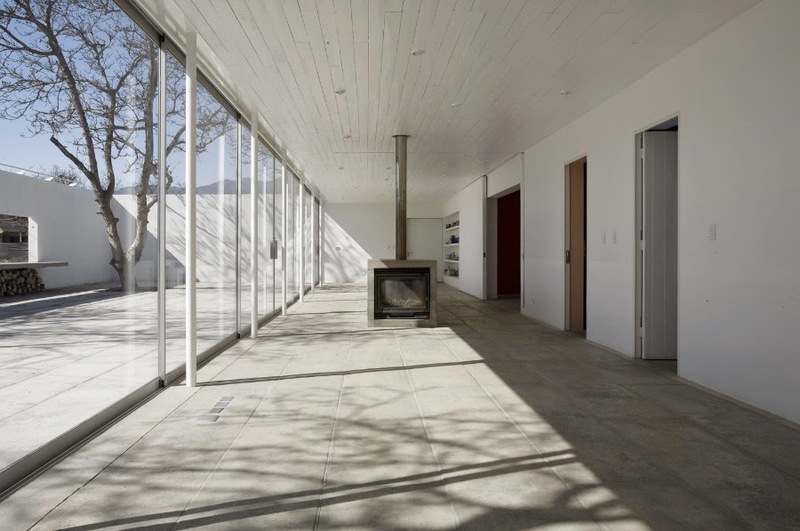 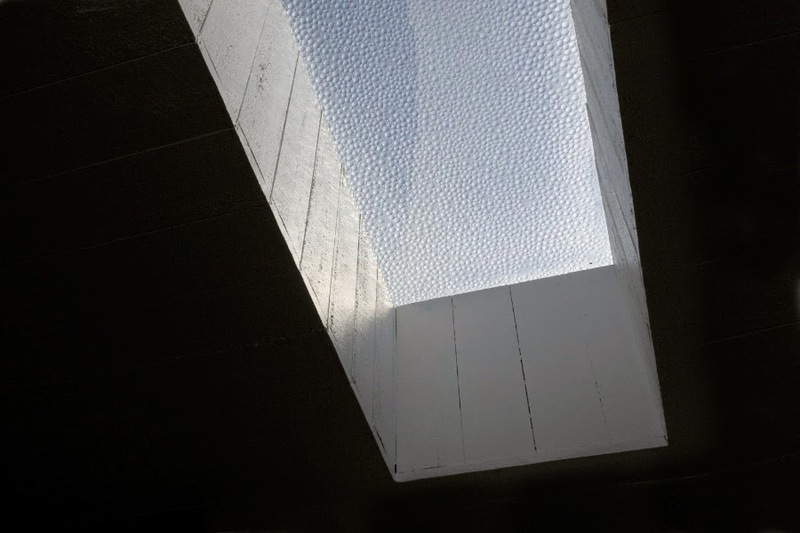 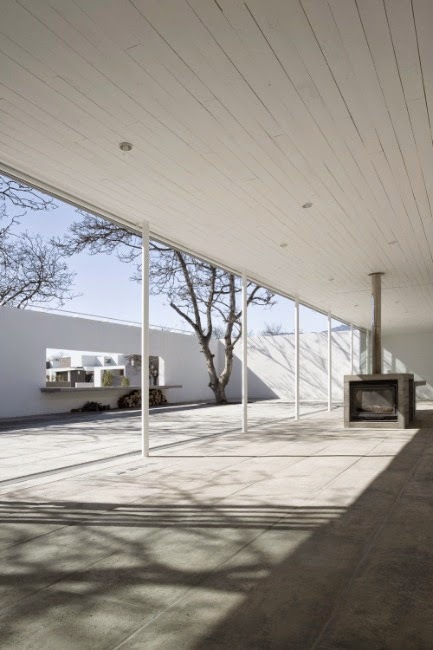 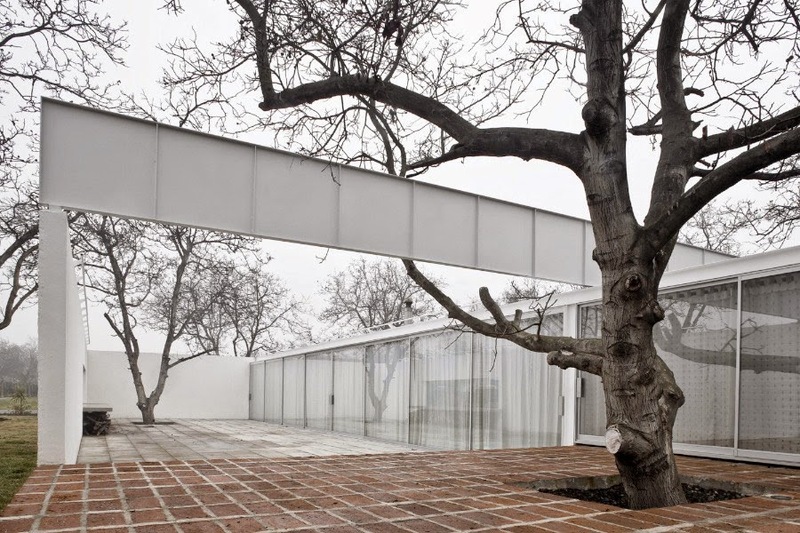 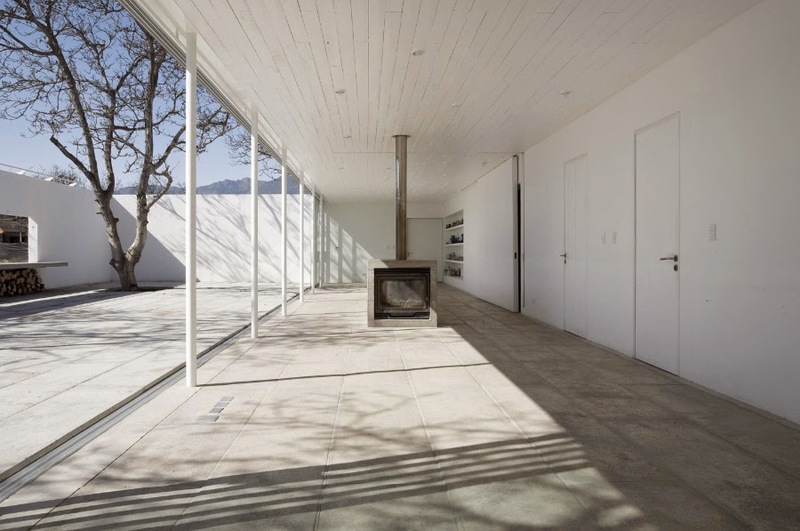 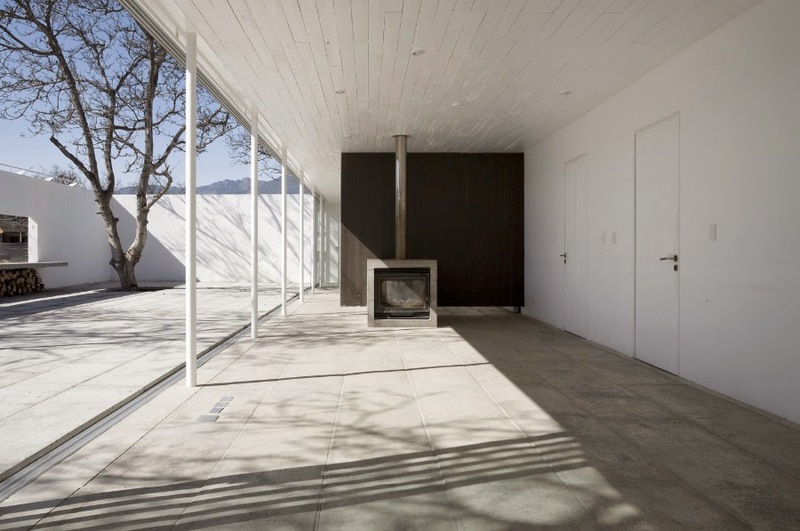 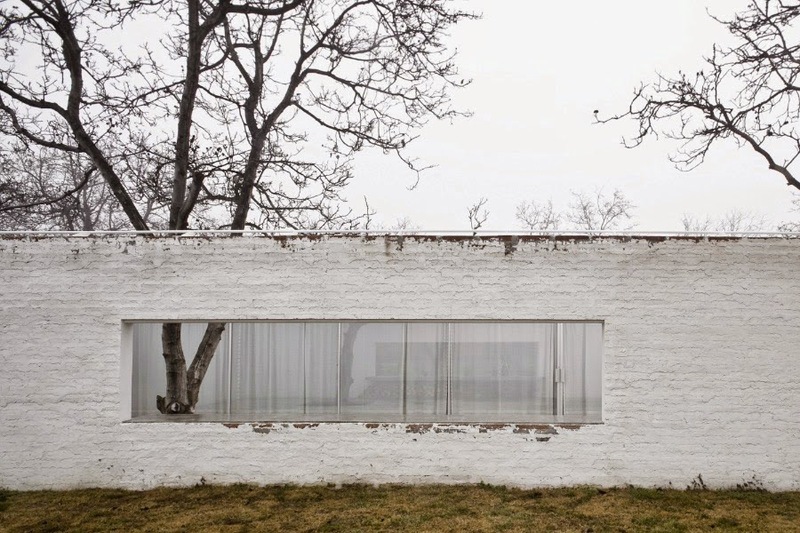 This house in Los Lirios, Rancagua, Chile, designed by architect Smiljan Radic is part of a two houses scheme that recalls the tenant farmers structures in the Chilean countryside. 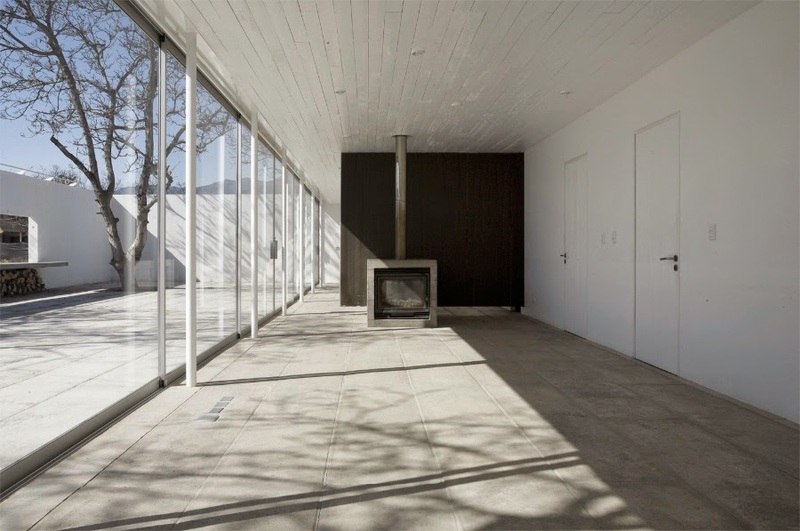 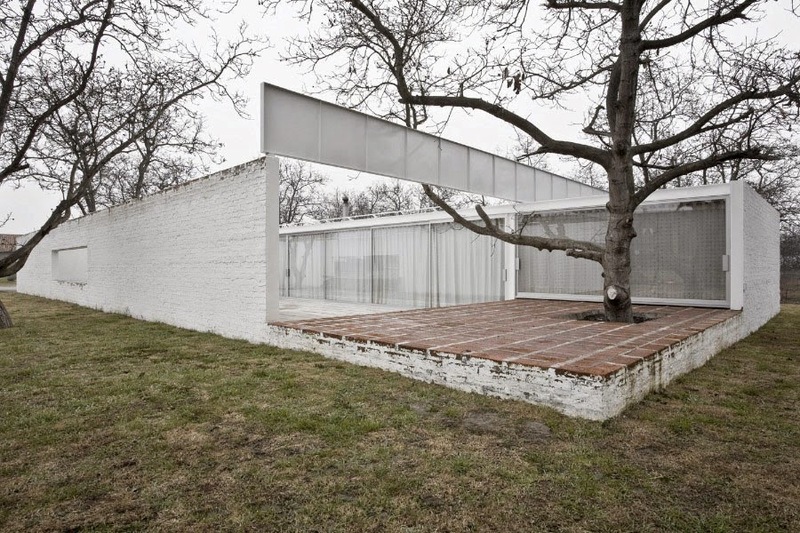 Whitewashed masonry walls define an enclosed courtyard that extends the minimalist interior living spaces outside. 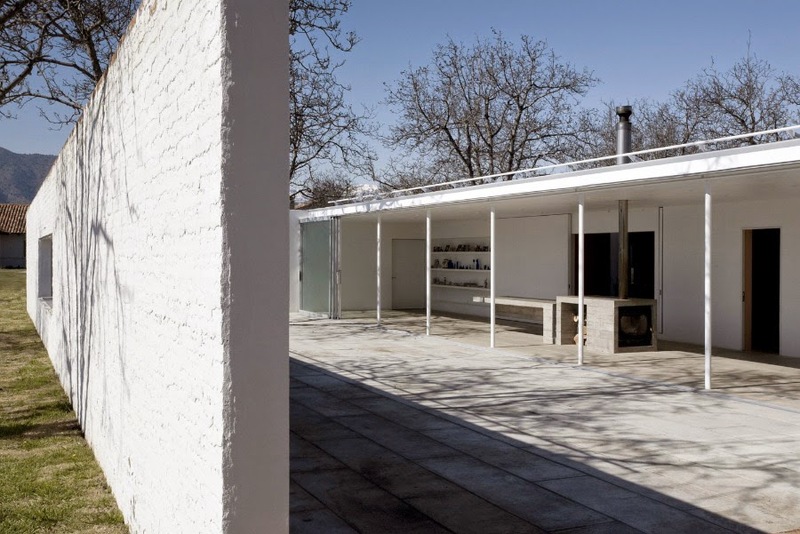 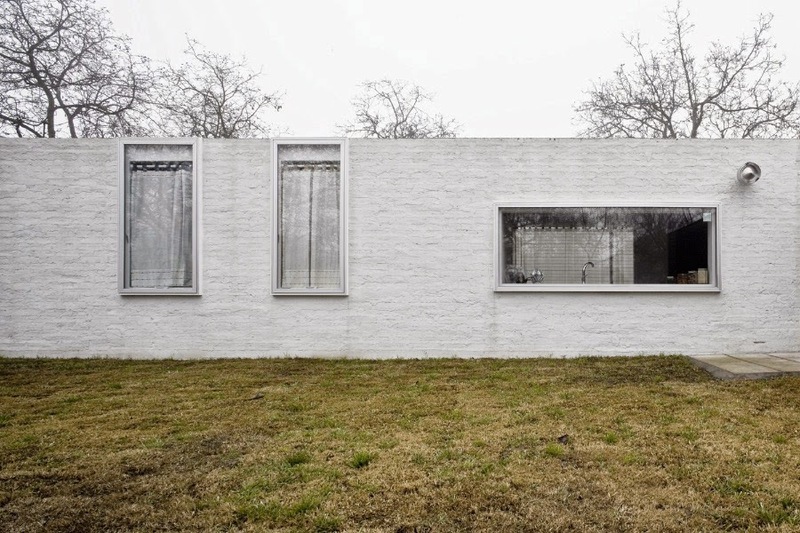 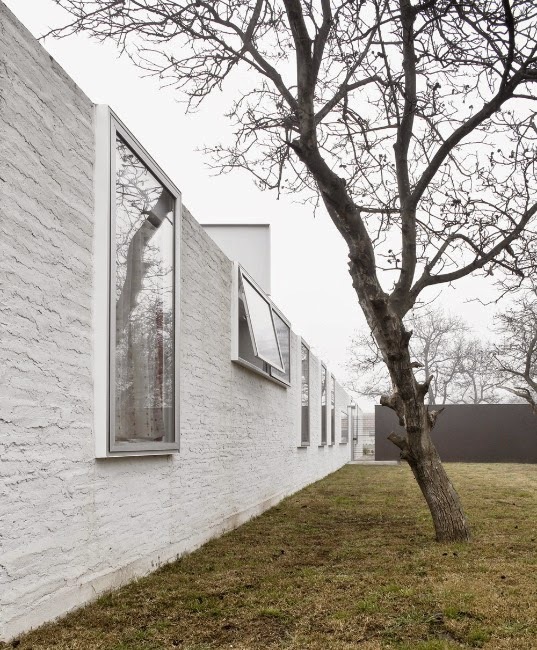 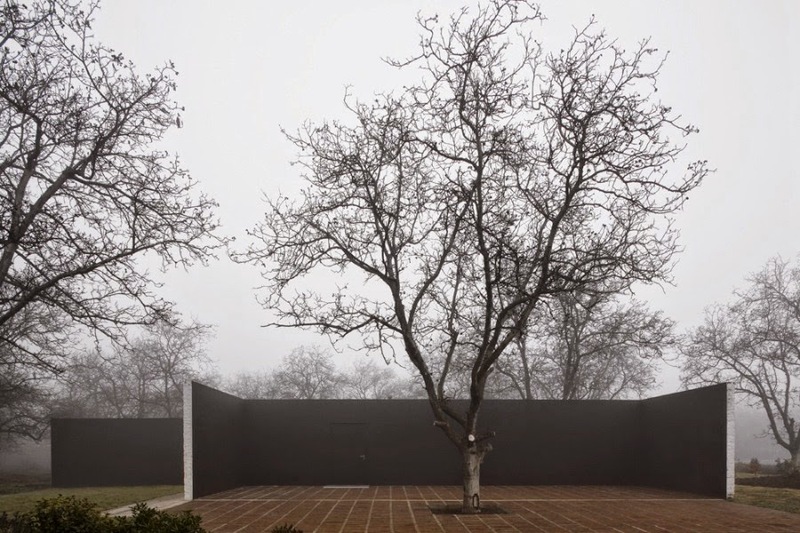 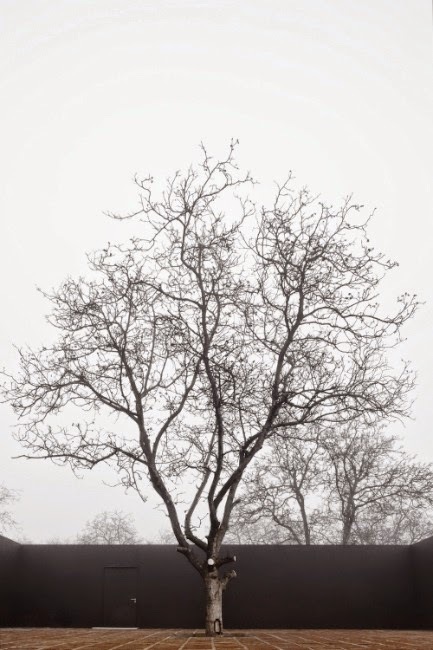 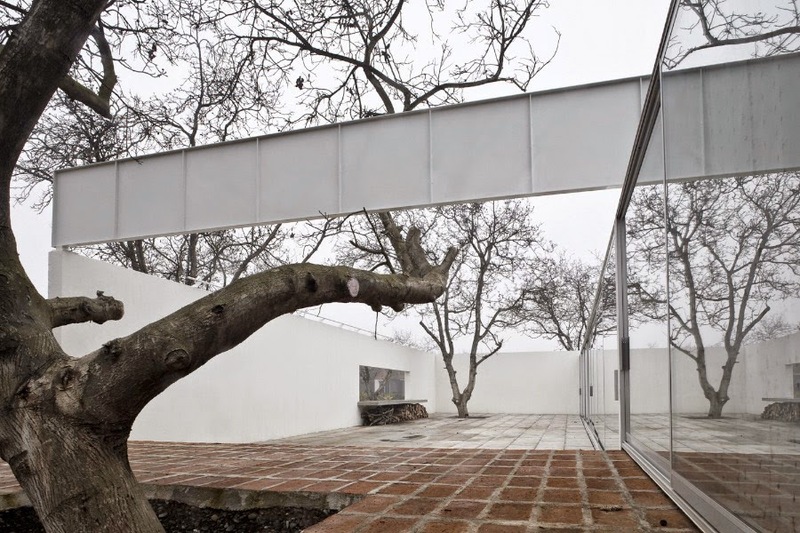 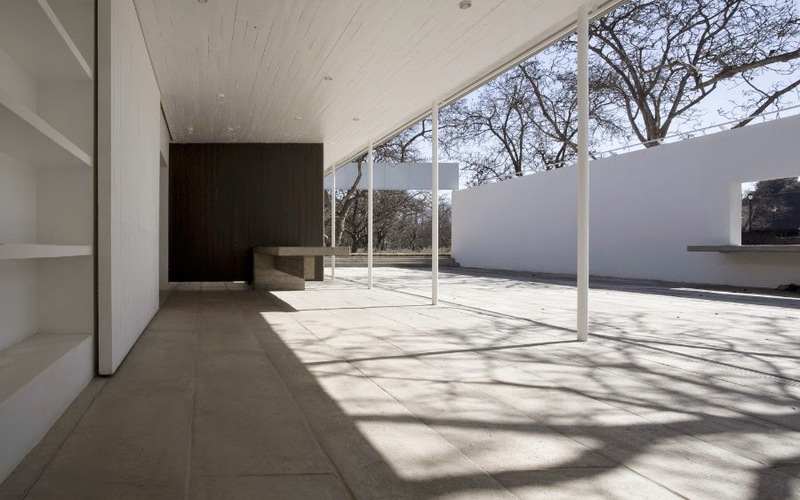 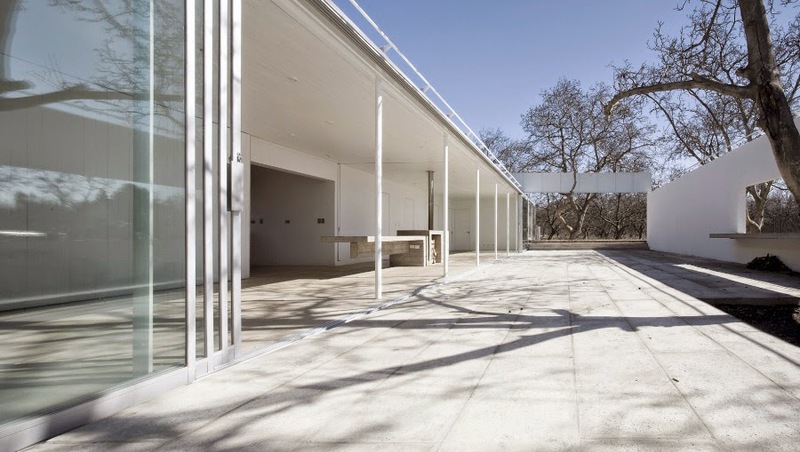 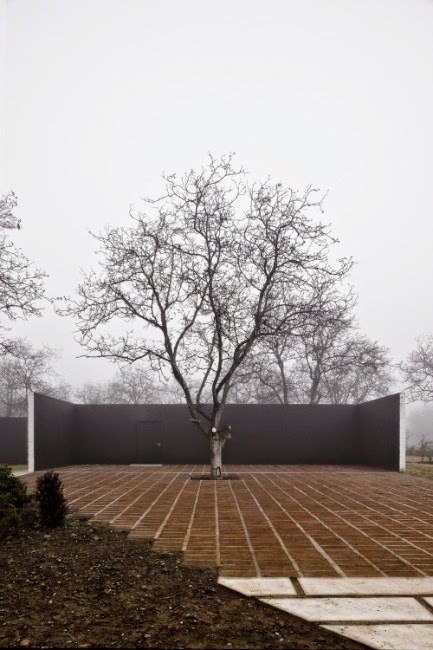 These two houses -actually there´s only one built- recall the houses of tenant farmers in the Chilean countryside: the existing walnut trees haven´t been touched, the outside has been denied thanks to a whitewashed perimetral wall. 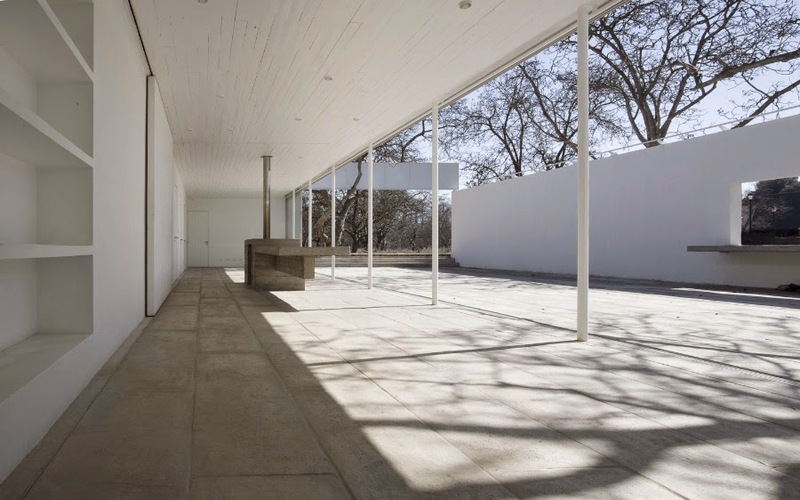 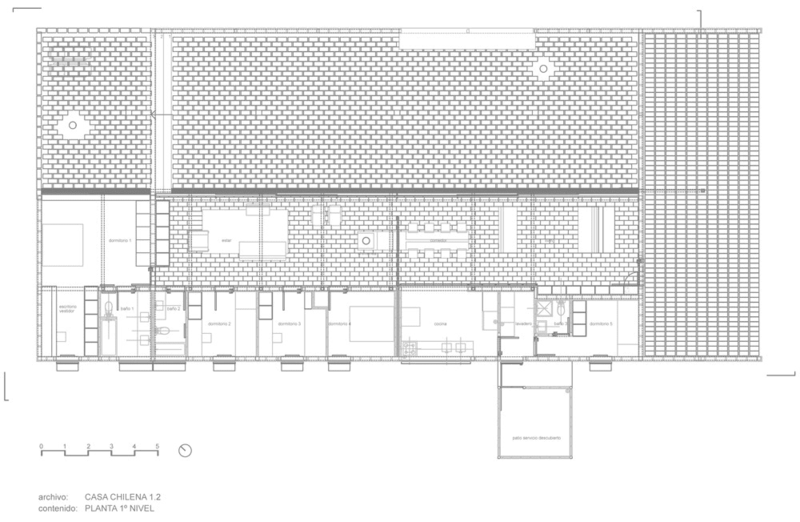 An inner courtyard with the possibility of being covered with an agricultural tarpaulin fixed to its wall to provide shade, an austere living room with bits of an exterior spread throughout the courtyard, a roof of painted untreated wood and bedrooms painted in bold colours.